24 hour guarantee of item is ONLY AVAILABLE when listed as “WORKING” or “NEW” this offer excludes any bulk reseller lots of new items. All other items are sold in “AS FOUND” condition. Items listed as “NEW” or “WORKING” that are not in a “RESELLERS” lots are all sold individually have 24 hour guarantee. We require the consignors to give our customers 24 hours to take the item home, open it, check it out, test it and make sure it is working. Also…. we do NOT test anything in the store or open boxes that appear to be factory sealed. The consignors bring these items to us and it is an auction (Not a retail store) so everything else is sold AS DESCRIBED in AS IS and AS FOUND condition with no warranty or guarantee of any kind. If you come back to us in 2 or more days telling us your item is not working or not complete or broken we can not do anything for you so please take your items home and check them out and schedule an appointment before bidding and come see the items in person. When you pick up the item please inspect it before removing it from the store. It you find the item is NOT how the consignor described it then simply let the counter staff know and you will not need to take it. We would pull up the listing and if we agree it is not as it is listed or shown in the photos you would not be obligated to take it. We HOLD the consignors payout in escrow for 24 hours only on new items then release it to them. Items listed as NEW or where the consignor has indicated that they are sold in WORKING order will be guaranteed for 24 hours from the time they are PAID FOR. Consignors will not be paid out on these items until the 24 hour period is up. For items marked NEW or WORKING we will give you a FULL 24 hours to take the items home, test them and ensure they work correctly. Not many auctions do this! 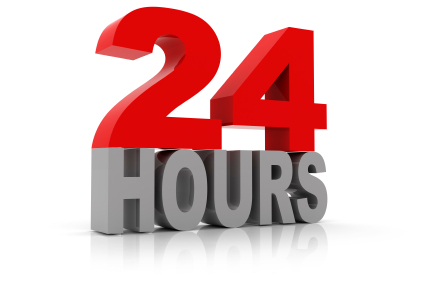 We will hold off paying the consignor for 24 hours from the time the payment is received. The clock in the system starts when the payment is entered into our computer, after 24 hours we will make the funds available for the consignor to be paid out… and once the consignor is paid we do not have any recourse and will not take the item back or refund the item so you only have 24 hours. If the item is not listed as WORKING or NEW then assume it is ASIS and no warranty is offered or implied. It is best to inspect ALL items on pickup so any item not as described can be brought to our attention right at pickup. Unfortunately any shipped item has no 24 hour warranty so ship and buy at your own risk. If you find the item your purchased does not function correctly and was listed as NEW or WORKING then within the 24 hour period simply open a support ticket and let us know. You do not need to return the item immediately either you can bring it in the next time you come (14 days max) and we will inform the consignor that the item is being returned. We do not take items back because you do not like them, we will test the item when returned and if the item does not function correctly we will accept the return. Bulk lots are for the re sellers, you can usually expect 20% of re sellers lots on average to either be missing parts, not working, partially working, damaged, etc… and usually 80% are good re sell-able items. No Guarantees at all is offered on these bulk lots. 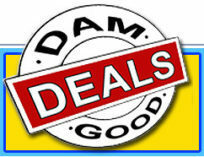 All other items are also sold AS DESCRIBED without any warranty or guarantee of any kind. However… When you pick up the items please inspect them, if you find we missed something important in the description or missed any obvious damage in the description that was not shown in the photos or the item turns out NOT to be as it was described you do not need to pay for it. We will return it to the consignor or relist it with a updated description. We deal with 100’s of items every week so we do miss details at times. We do NOT test everything that comes in either, we do a quick inspection to make sure the description the consignor supplies is accurate and then our staff lists the item. If we test it we indicate that we tested it. This inspection option is ONLY offered on pickup and not shipped items, once it leaves the building it’s all yours. Unfortunately if we ship the items to you we would have most likely paid the consignor by the time you receive the item so anyone buying items to be shipped bid accordingly as we can not guarantee the items will arrive in working order. We prefer you come in and inspect items before bidding, we ship items as a convenience for those who can not come in and pick the items up each week, unfortunately this is an auction not a store so we do not have any return options for shipped items so please bid accordingly and bid at your own risk.